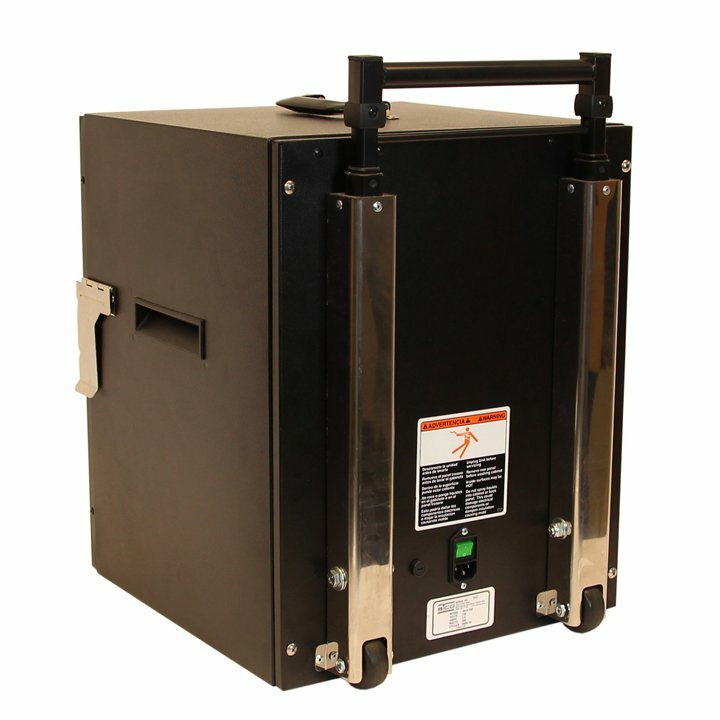 When you don't have access to electricity, choose our Solid Fuel Commercial Food Warmer — designed to keep both food and flame secure while in use and in transport from kitchen to guestroom. 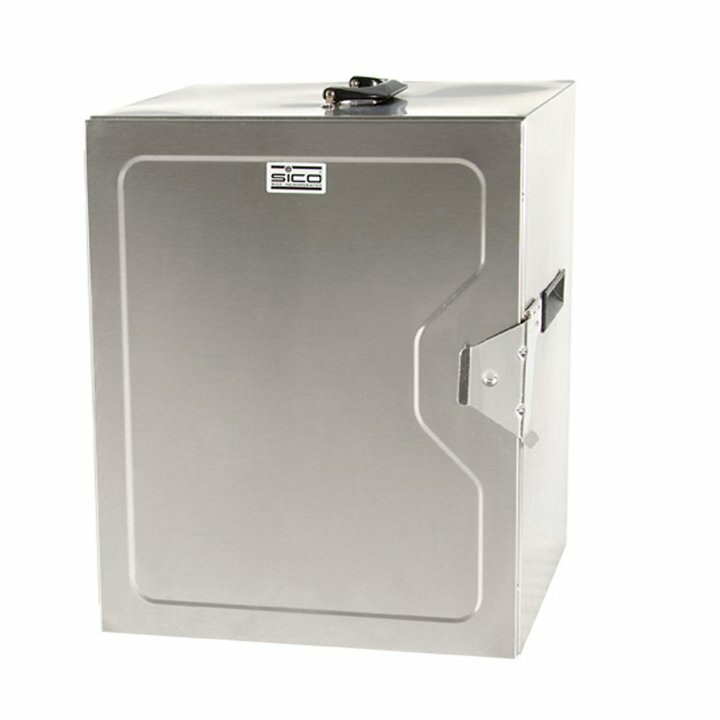 This well insulated food warmer unit is the perfect choice for keeping hot or cold foods at their optimum temperature. 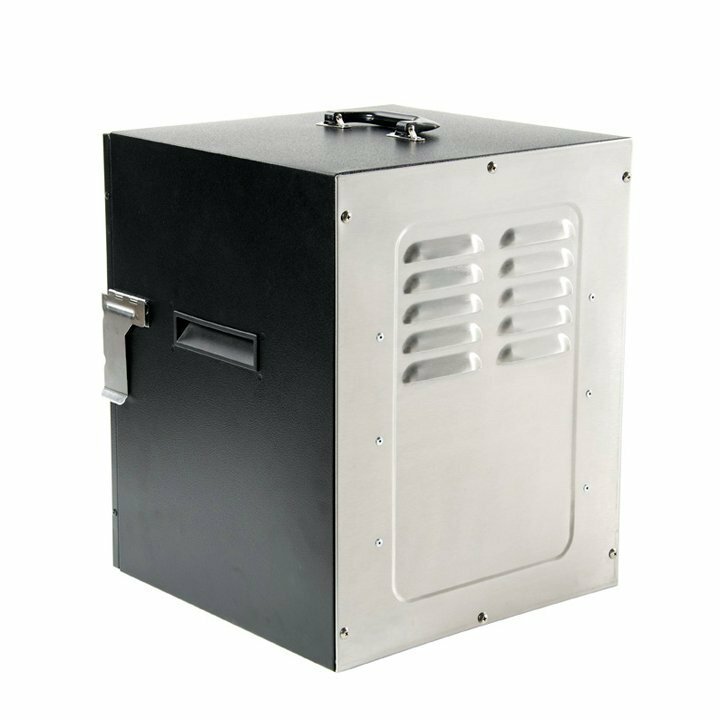 The Solid Fuel Food Warmer is constructed with reinforced stainless steel that is easy-to-clean and resistant to dents or damage. 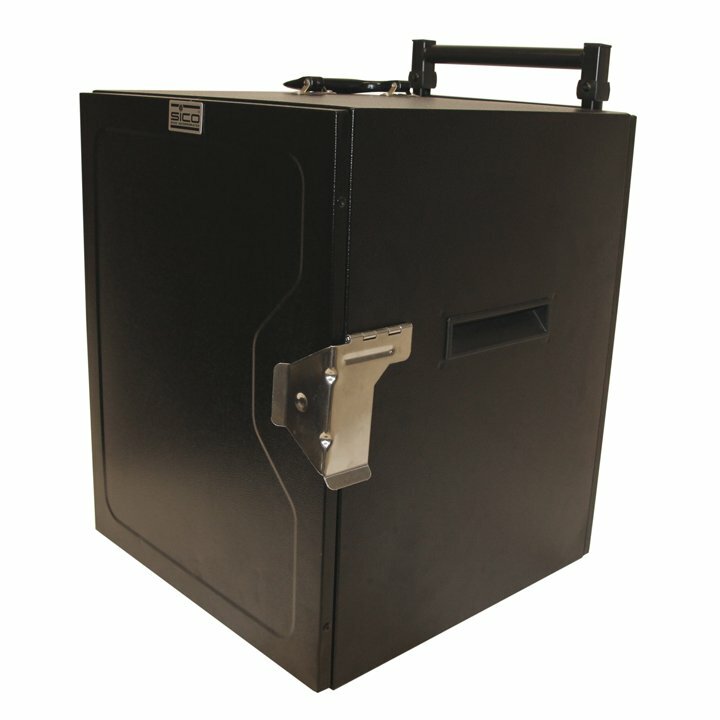 The riveted assembly delivers a tighter fit for greater long-term durability and reduced noise in transport. 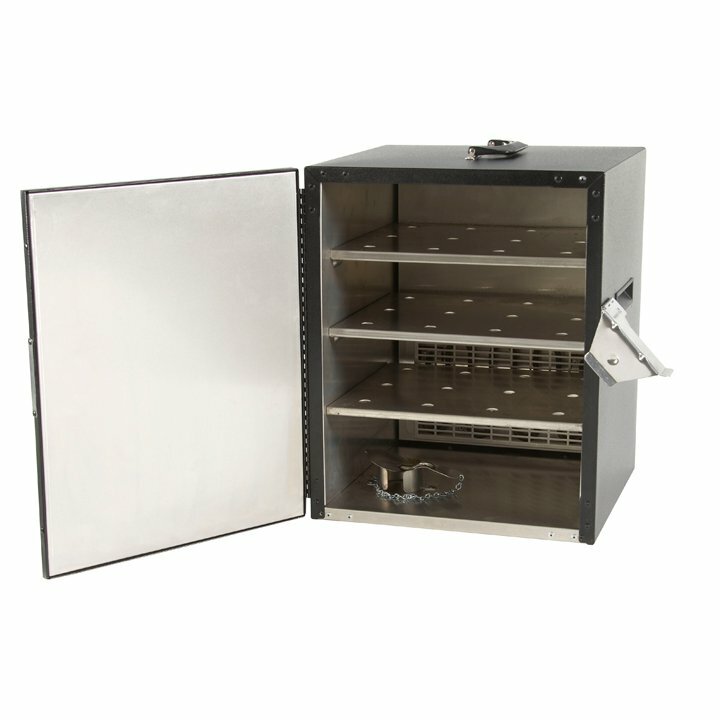 It contains three spacious interior shelves that are easily removed for cleaning, and a unique gravity door lock keeps both food and flames secure during transport. 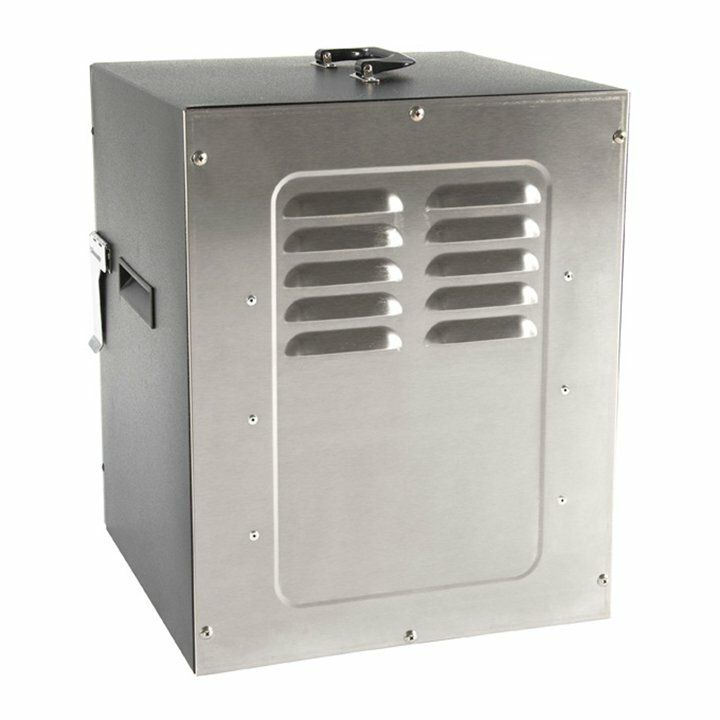 The Mobile Solid Fuel Food Warmer comes equipped with a retractable handle that makes it easy to move on its built-in casters. 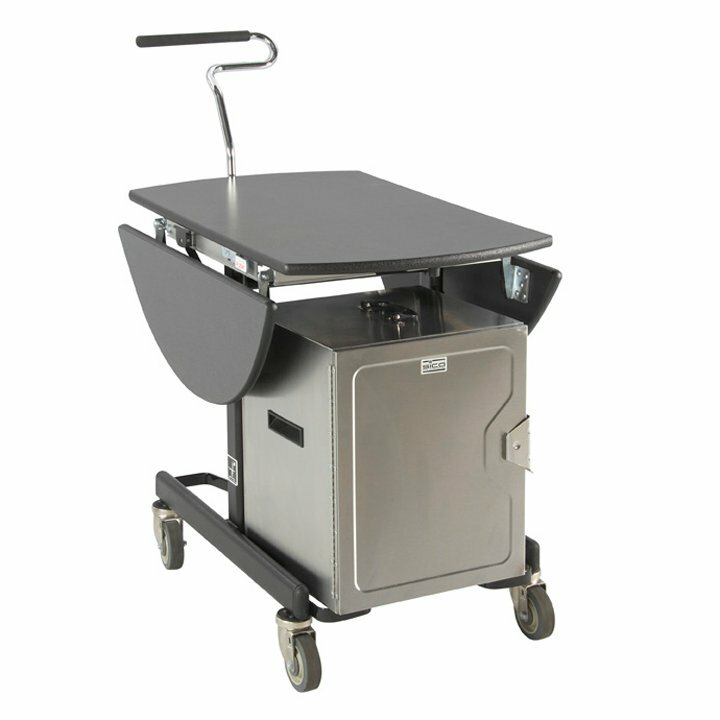 Standard models can be converted to a handle with mobile wheels by changing the back panel. * Sterno holder holds fuel up to 2.56″ (6.5cm) in diameter and 1.5″ (3.8cm) tall. ** Weight and measurements are for un-cartoned product. 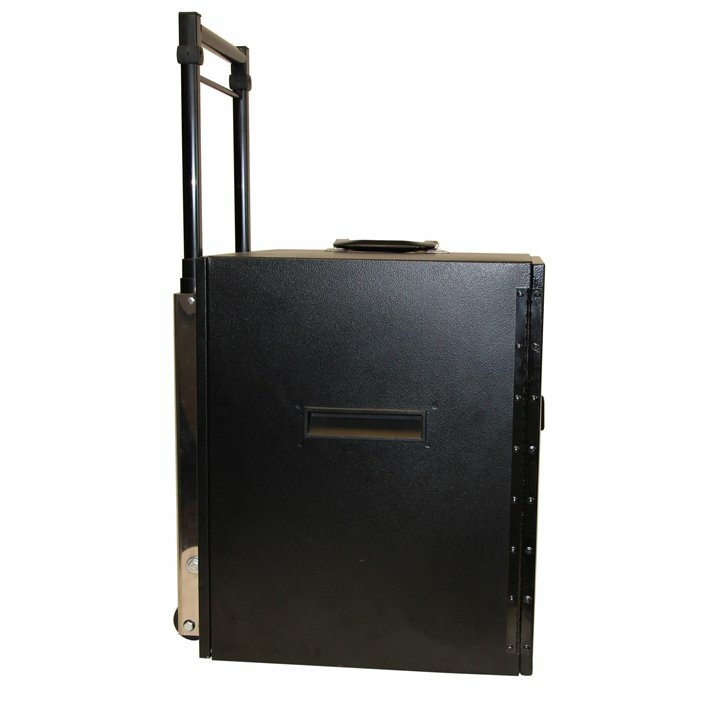 Mobile Food Warmer Transport Caddies hold 6 food warmers heated and ready for service. 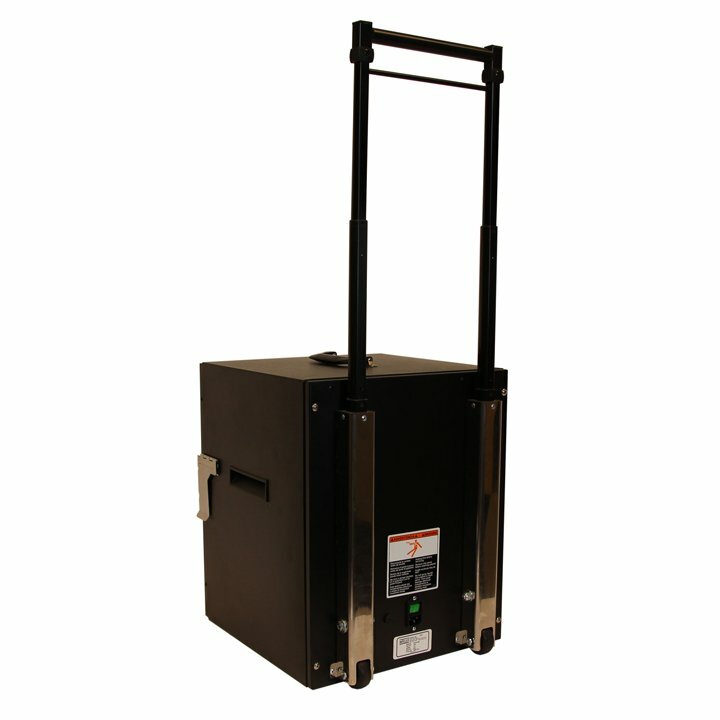 The Electric units plug into a master electric power unit that has its own cord and switch. Space efficient storage racks store large numbers of boxes in a confined space.